I hope you have already been working out consistently and eating clean and aren’t trying to crash diet and work out turbo style to lose weight in a short time. This might not be what you want to hear – but that’s not going to work. Crash dieting and overtraining will wreak havoc on your metabolism and will not give you sustainable results. Trust me, you don’t have to starve yourself or spend hours on the treadmill to get results. 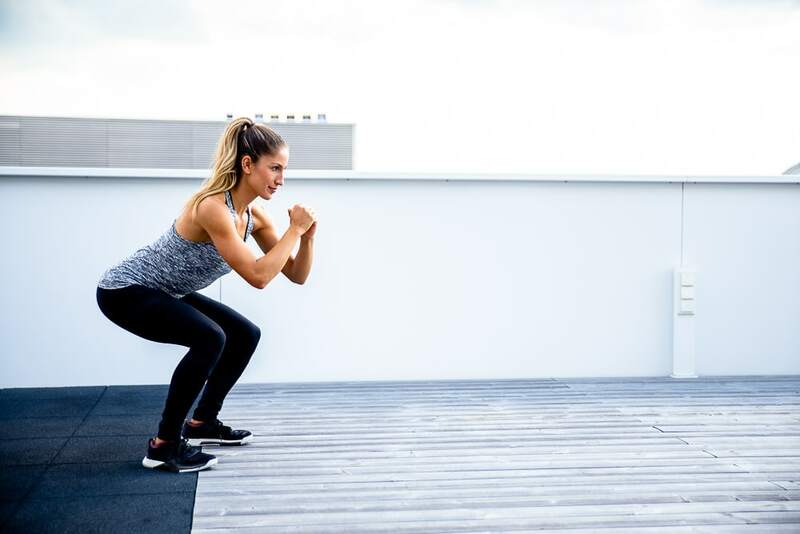 For those of you who have been staying on track and are ready to kick your training up a notch in order to torch that last bit of fat, this HIIT workout is for you. Now, you might be wondering what all that means. You will do 8 exercises for 30 seconds with 15 seconds of rest in between. 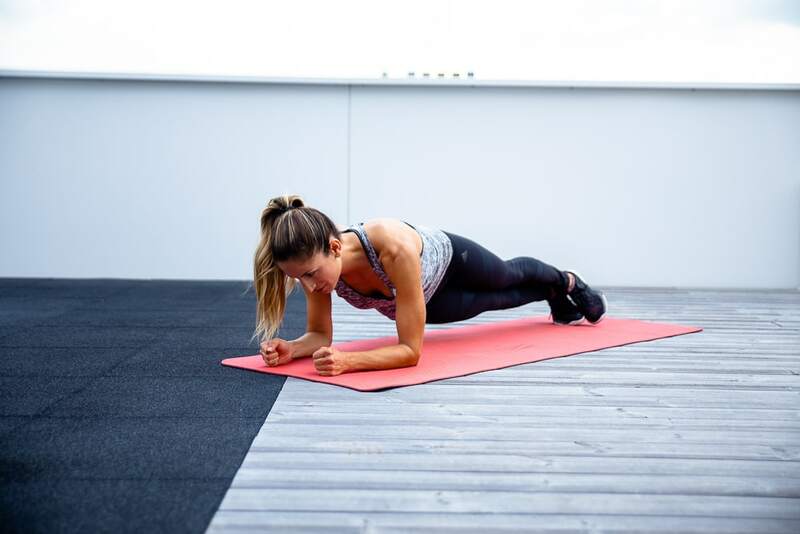 When you are done with all 8 exercises, you will rest for 1 minute (15 seconds of rest + 45 seconds of preparation) and then repeat for 3 rounds. You can put your feet on a step, couch, chair or even the wall! This is really going to increase your range of motion and get those glutes (your booty muscles) to fire like crazy – yes! Focus on doing these crunches very controlled and trying to get your elbow to the outside of your knee. Don’t tug at your neck and go super fast. You really want to feel that burn, trust me! If you are just starting out with HIIT training, or you really do not have time to go for 3 rounds, that’s totally fine. You can stick to 1 or 2 rounds if that suits your fitness level or schedule better.